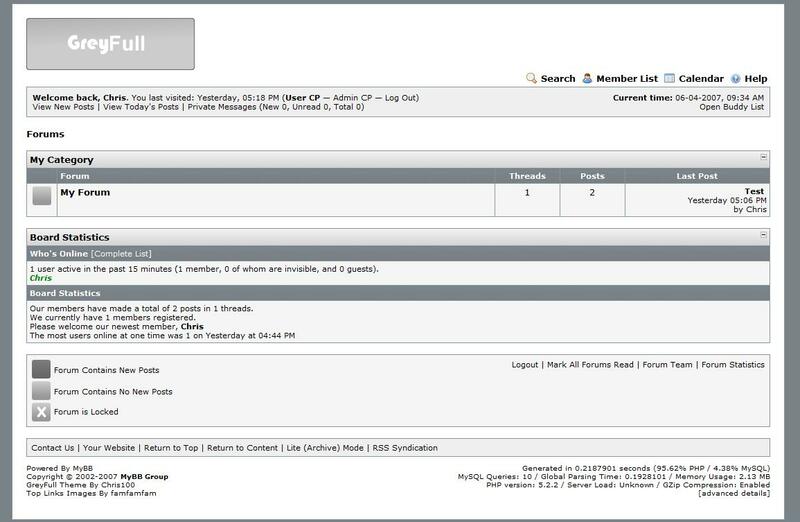 GreyFull is a simple, grey coloured theme for the MyBB 1.2 series. Top Links images by: famfamfam. 1: Upload the "GreyFull" folder (included in the zip file) to your forums images/ directory. 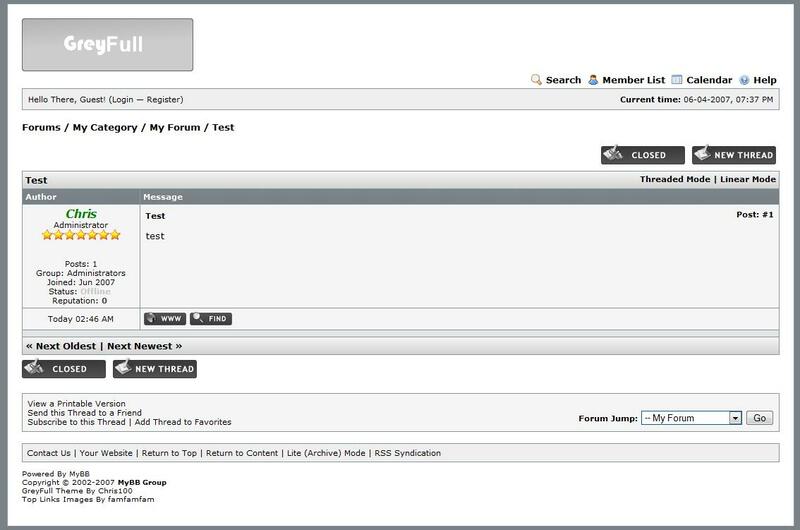 2: Import the GreyFull-theme.xml file (included in the zip) using the theme manager in the MyBB Admin CP. http://community.mybboard.net/showthread.php?tid=18026 if you have any suggestions or problems.